I’ve said time and time again that I’m not a big tanner – I’m too scared to give tans a go in case I end up resembling a streaky wotsit. But I think the times are finally changing. 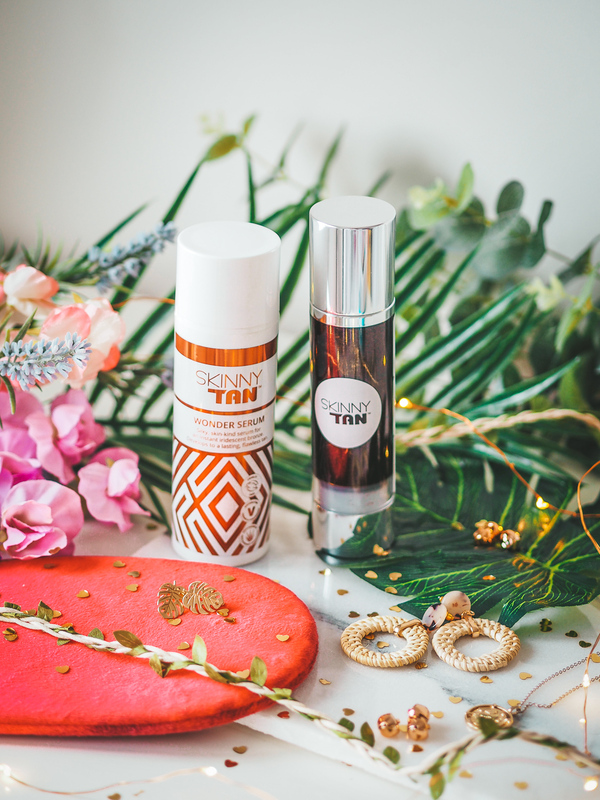 I’ve delved deep into the world of tan – risked trying a few, and found myself hooked on getting that bronzed glow all year round. Allow me to introduce you to my current go-to: the Skinny Tan Wonder Serum. 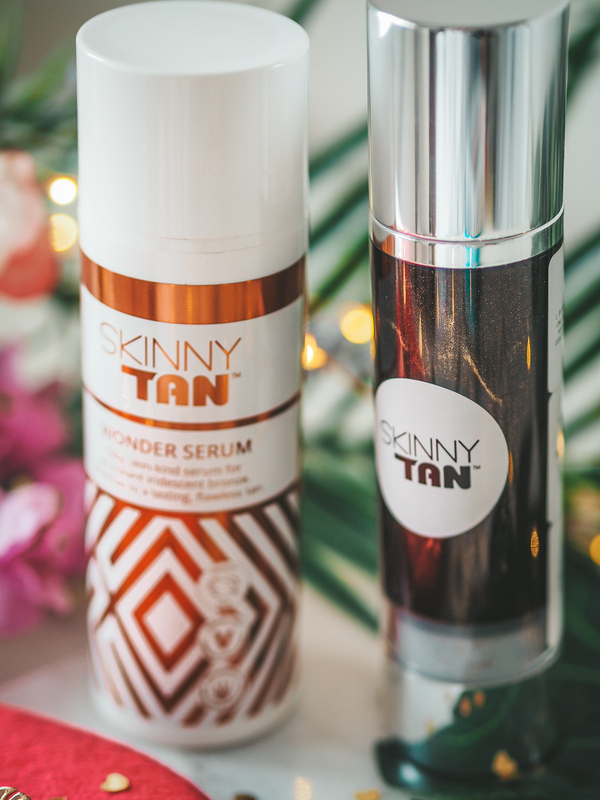 I was originally sent the Skinny Tan Wonder Serum before it had hit the shelves and even got its final packaging (seen on the right). I was gifted it in exchange for an Instagram post. 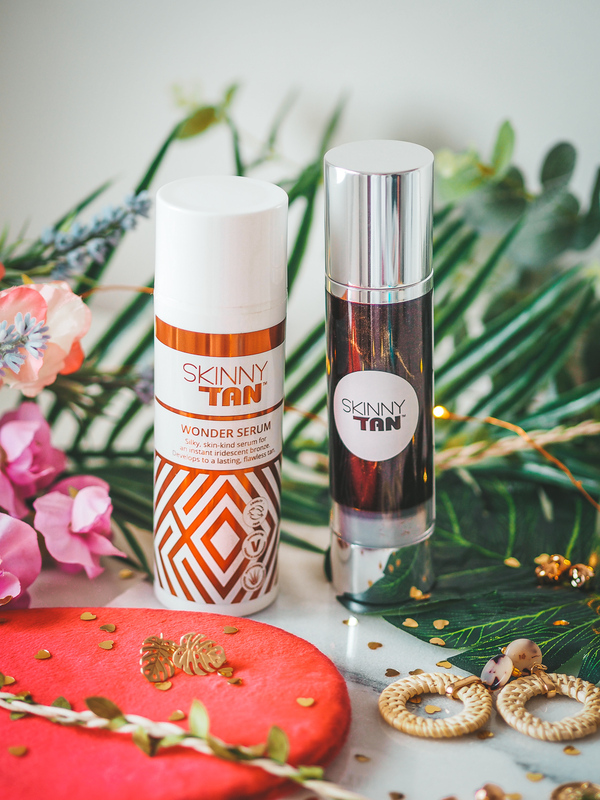 Skinny tan was a brand I’d heard of a lot, but never had the opportunity to try – so I was willing to give it a go! Now, I’m not going to lie to you here. The first time I used this tan it was a DISASTER. You know that fear of being a streaky wotsit? It came true – and I spent two days covering every inch of my body with jeans and long sleeve tops. This isn’t a tan you can just ‘chuck on’ quickly before bed, and my god, whatever you do, don’t get it wet! Despite looking like a bit of a joke, the colour was actually really lovely – a gorgeous tan that boasts ‘I’ve just been on my holidays’. So, I was willing to give it another try. The second time around worked a dream. This time I used a better mitt, did it in better lighting and made sure I was extra careful that everything had been blending in properly. I’ve also found that because this tan runs like a b*tch if you get it wet, it’s best to apply last thing at night, and wash off in the shower in the morning. It does mark pyjamas slightly, although this washes out easily. I just make sure I’m wearing my designated tanning PJ’s! I really can’t rave enough about the colour this tan gives. It’s dark enough for me to feel like I’m wearing tan, but not so dark that I feel a bit silly. And it looks pretty natural too! A clear winner in my eyes. What’s your favourite tan? What should I try next? "A stay in Canary Wharf with Point A Hotels"